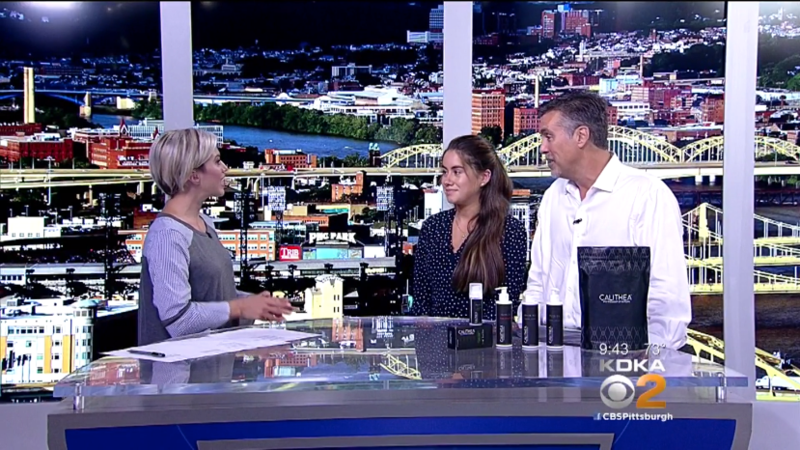 Our father-daughter duo clients stopped by the KDKA news desk to chat about their new brand and product line. 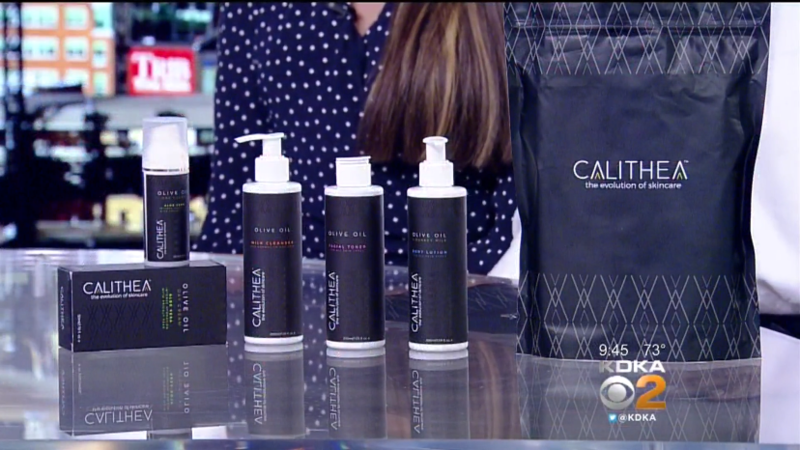 Calithea was one of our more recent clients with a great story behind the brand. Calithea is an all-natural Greek skincare brand with ancestral values. 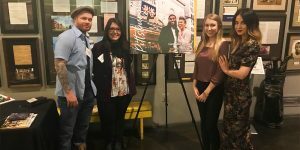 The brand’s products are designed to naturally enhance a woman’s inner beauty, and the company mission is to empower and educate young women of all types about natural skincare and proper skincare techniques. ocreations worked with the father-daughter duo to build the skincare brand from the ground up – from the logo design and package design for the entire product line, to the website and online shop, ocreations truly enjoyed creating this brand and watching it flourish. Congrats to Elena and George for Calithea’s success thus far. We’re proud to see what this brand has become, and can’t wait to see what the future holds! 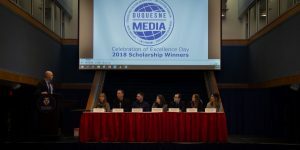 Watch the full KDKA video here, and check out the website we designed for Calithea. At ocreations, we love building brands, and we love packaging design. Calithea was the ultimate combo project for our creative team.